Well-padded gig bag designed for dreadnoughts. Wolfpak's KGWP-MA Junior Acoustic Guitar Gig Bag has a super tough, ballistic-quality exterior with a thick foam interior for supreme protection. Both the headstock and bridge areas are reinforced to protect your guitar. The gig bag boasts a roomy front pocket, a deep headstock pocket, and an accessory pouch for picks and cables. Between gigs, use the Wolfpak KGWP-MA Junior Acoustic Guitar gig bag to comfortably transport your 3/4-size guitar using the padded, backpack-style carry straps. 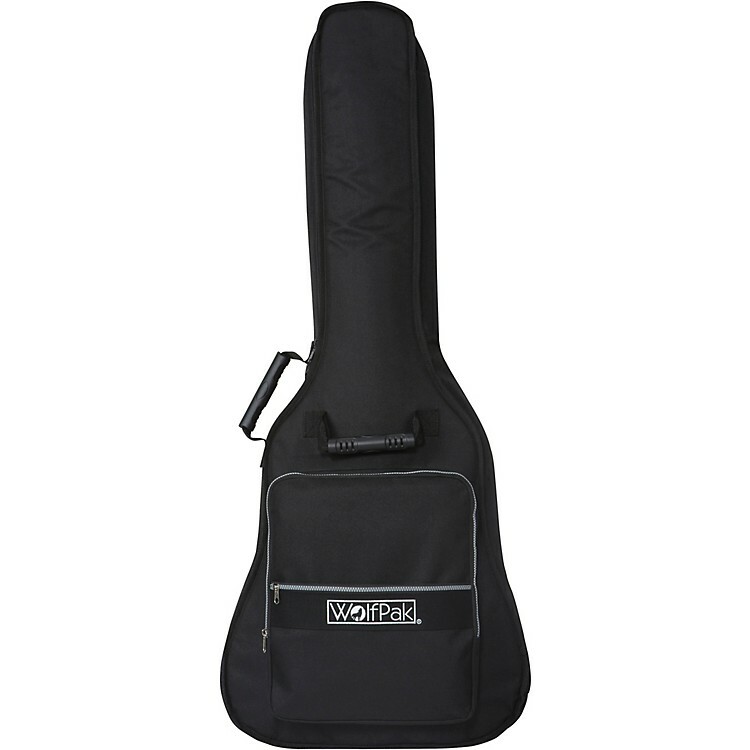 The Woflpak Junior Acoustic gig bag fits both travel and 3/4-sized guitars. Dimensions (WxHxD): 13" x 35.5" x 3.5"
Protect your investment. Order today.